All-wheel drive vehicles offer enhanced traction, increasing your vehicle’s grip on the road and ensuring you have excellent handling, whether you’re dealing with slick roads or quickly maneuvering in dicey traffic. 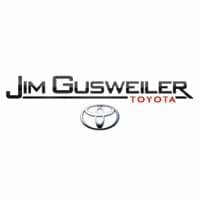 If you’ve been looking for a safe and affordable vehicle, the pre-owned all-wheel-drive SUVs for sale in Washington Court House, OH at Gusweiler Toyota are sure to meet your needs. While AWD vehicles can be more expensive, Gusweiler Toyota offers a vast selection of affordable options, including used and Certified Pre-Owned models. Pair our diverse selection with the competitive financing we can offer, and you’re sure to find a vehicle that meets your needs and the demands of your budget. Get in touch with us today, and then stop by for some test-drives!